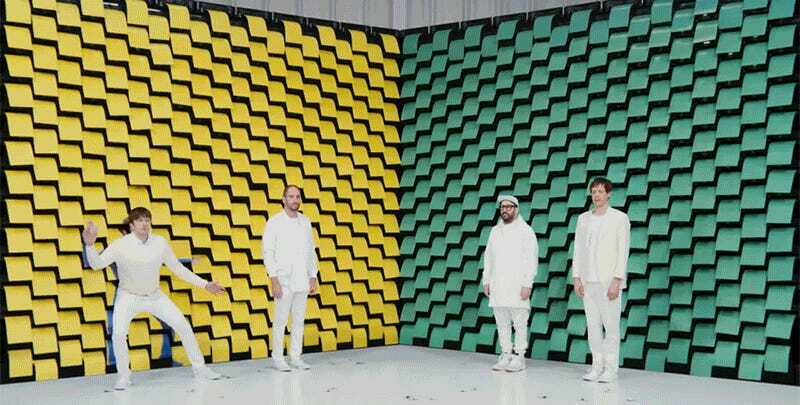 By now the band OK Go is better known for its over-the-top, impossibly choreographed music videos than its actual music. So much so that you can enjoy the music video for its new song, “Obsession,” without actually having to turn your speakers up. It’s a visual treat starring a wall of 540 printers used to create a perpetually-changing backdrop. Did the band actually need to waste thousands of sheets of paper for a music video? If you’ve already watched the whole thing then the answer is yes, as the gimmick clearly worked. 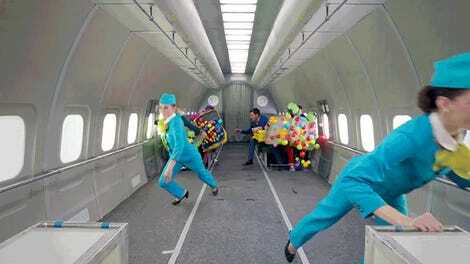 But we’re going to assume all those printouts are headed right for the recycling bin, or are destined to be used in the next OK Go video featuring thousands of paper airplanes.